The FAA has embarked on a complete overhaul and shift away from the existing ground-based air traffic control system to a new satellite-based GPS system called Next-Gen. A key part of Next-Gen is ADS-B (Automatic Dependent Surveillance – Broadcast). WHAT DOES THIS MEAN FOR AIRCRAFT OWNERS AND OPERATORS? 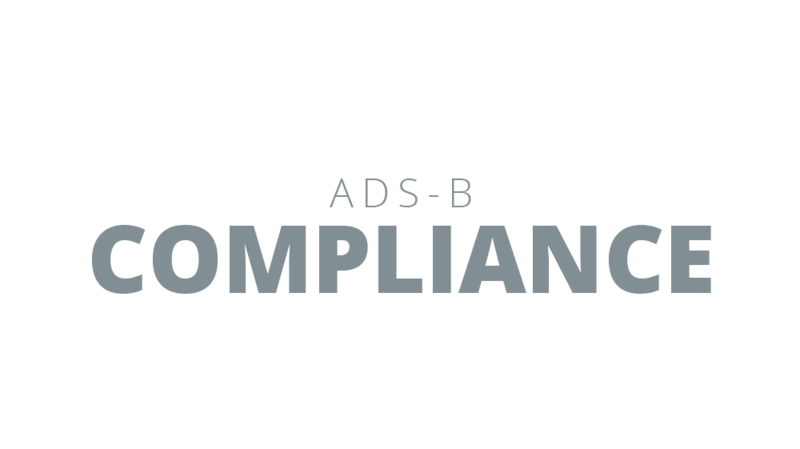 First and foremost, be aware that January 01, 2020, is the hard deadline set by the FAA to have your aircraft in compliance with ADS-B OUT. If an aircraft is not in compliance by this date, it is effectively unable to fly in controlled airspace. One of the requirements is either a 1090MHz, 1090MHz ES, or a 978MHz UAT transponder which collects inputs from various aircraft systems and transmits the information from the aircraft to one of the nearby ground stations. The equipment required depends on the type of aircraft and what equipment is already installed. The first step in updating is to consult with an avionics expert to assure your aircraft will be compliant without breaking the bank. This is also an excellent time to consider other avionics upgrades which make your airplane safer and more capable.